with a variety of spaces to suit your needs. 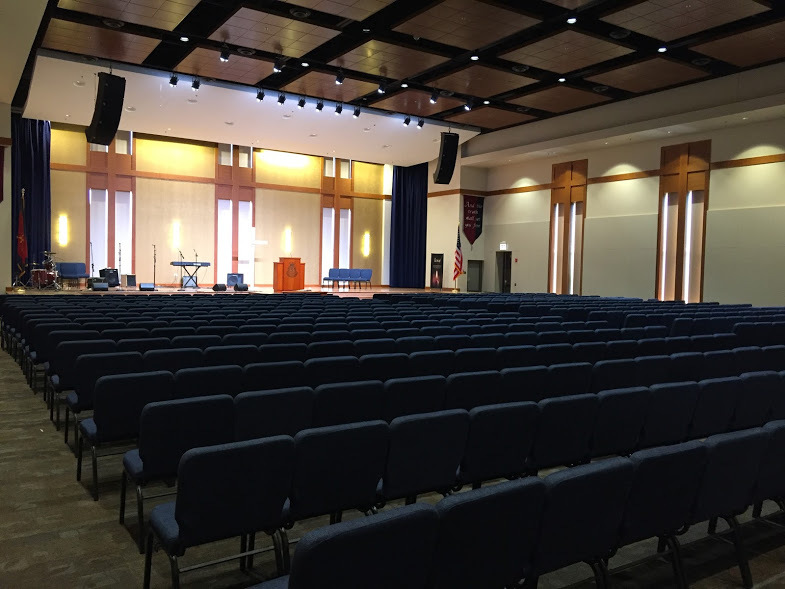 The Salvation Army Freedom Center has state-of-the-art event rental venue in Chicago’s West Humboldt Park neighborhood, with a variety of spaces and features to suit your needs. If you are looking for versatile space in Chicago, we have all the resources in place to make your event perfect! We provide premium services with all of our rooms that include conferences, corporate events, and private parties! Please Note: Applications are approved on a first come, first served basis. Rooms are reserved once the deposit is paid; the remainder of the rental cost must be paid within seven days of the event. Until a deposit is received, The Salvation Army Freedom Center reserves the right to release the date to the next applicant for that date. If you have specific needs for your event and would need further information, please contact our Events Department at 312-224-8179, via email, or fill out our event inquiry form below. Our Events Office Hours are Monday through Friday 12PM to 5PM, or by appointment. View venue & rental pricing and parking information. The sunlit entryways, lobby and hallways in the Community Center are wide and open for registration tables, vendors, or other exhibits. These areas are also available for serving refreshments outside a conference area. The Chapel/Auditorium serves as a chapel and a performing arts center. With flexible, movable seating, this space has the ability to host performance events, music concerts, and theater productions with seating for up to 500 people theater style. The theater hall has all the elements necessary for creating great productions including state-of-the-art digital audio/visual equipment. You can choose from renting our chapel/auditorium space and/or celebration rooms. The gym is equipped with a sound system and projector screen which makes the room ideal for large conferences, receptions, and parties. The gym can easily hold 30 tables with 8-10 chairs per table. There is a warming kitchen beside the gym with a large serving window that opens into the area. The gym can be divided in half and two practices or games can be played simultaneously. Bleachers can be pulled out from one wall, providing seating. The warming kitchen is available for rental and includes a stove, microwave, sink, tabletops and countertops. A large serving window opens into the gymnasium for easy serving options. Renters will need to provide their own supplies and equipment for cooking. Room 20 offers the convenience of a sink in the room to help with quick clean up. It is a perfect space for a meeting or party. This room can be set up either classroom or party style. Room 19 is a single classroom and is perfect for a meeting or small party. This double classroom is ideal for meetings, smaller conferences, and parties. Two television monitors at opposite ends of the room are computer compatible. There are two white boards on the front wall. This room can be set up classroom style or party style.